is a lecturer in history at the University of Melbourne who writes about – and sometimes sings – songs about public execution from the 16th century to the 19th century. She is the author of Scandal and Reputation at the Court of Catherine de Medici (2016). Before the advent of mass media, TV, radio and even newspapers, people still wished to remain informed about current events. But without modern media – and in an age when few people could read – how did news spread? How did a common Londoner or Parisian learn about what was happening in the world? Through the medium of song. Long before (and indeed long after) newspapers became a widespread phenomenon in the 17th century, news was just as likely to be performed as read. From the early days of printing in the 16th century up until the 20th century, news events were regularly put into verse, printed on cheap broadsides and pamphlets, and sung to a familiar tune. 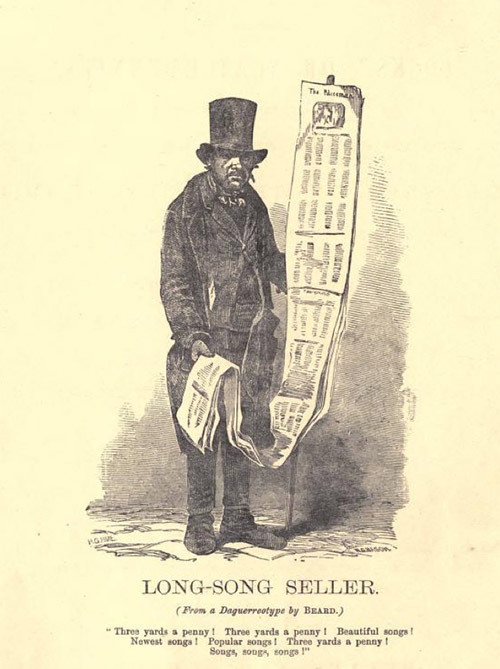 These news ballads would be sold in busy streets, fairs and marketplaces by hawkers who would sing the contents to attract a crowd of buyers. Given the low rates of literacy, song was a particularly effective medium of information transmission since rhyme and rhythm allowed listeners to more easily remember the lyrics. 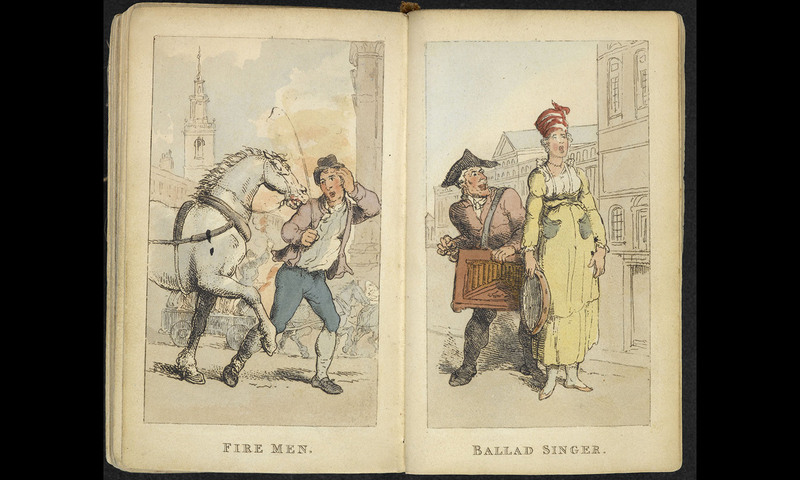 News ballads often covered a remarkably similar range of themes to modern journalism: crime and punishment, politics, military events, and natural disasters. And just like tabloid news reporting today, news songs were sensationalist and provocative, encouraging a strong emotional response in their listeners. This could be done both through language and melody: a 16th-century ballad about the Catholic ‘heretic’ John Felton, who was hanged and quartered by Elizabeth I for treason, was set to a country line-dance tune, which encouraged its listeners to clap hands and ‘do-si-do’ their partners while singing along. Would not bee tride by God and the country. This is a just reward for murders gaines. Will serve as your coffin. He who doesn’t have a care. This his brave Horses, that his hopeful Swine. Early modern ballads often combined accounts of discrete natural disasters that had occurred over a lengthy period to demonstrate that they were a cumulative sign from God of the ‘end times’, and that humanity was being punished for its unwillingness to repent. A song about the Great Fire of London called ‘The Londoner’s Lamentation’ (which you can listen to me sing here) closes with the warning that the fire is only the third of four punishments that God would inflict on the sinful city: after plague, war and fire, famine was next! And shrieking wild but vain! Could stem that raging main! No hope – no mercy – no escape! How fruitless all their strife! And in this privileging of the ‘popular’ and ‘beautiful’ aspects of news over its content, we can see how it has evolved into the tabloid news of today: talk radio and propagandistic TV news have retained the sensationalist aspects of news ballads, and require little from their audience in terms of education or literacy. They also present news in the same moralising way, seeing the world in simplistic, black-and-white terms, as good vs evil. It would seem that appealing to our emotions has always been the most lucrative way to sell the news, whatever the medium.